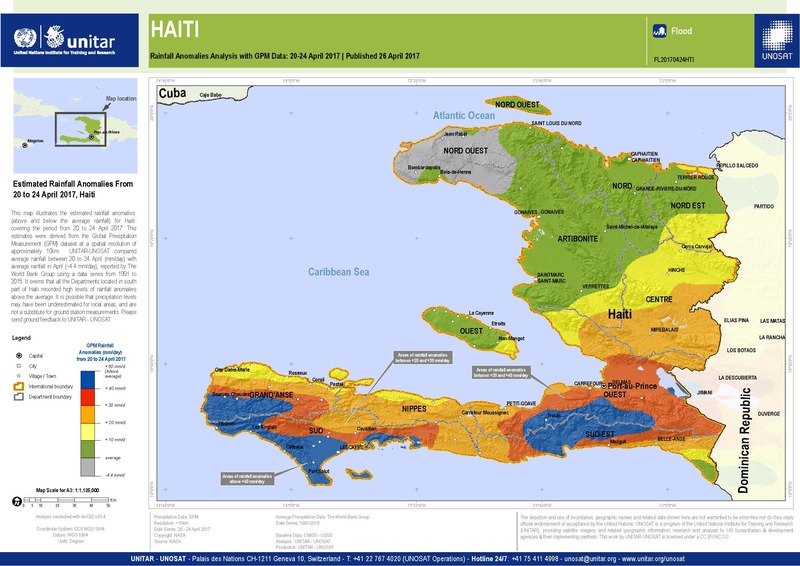 This map illustrates the estimated rainfall anomalies (above and below the average rainfall) for Haiti covering the period from 20 to 24 April 2017. This estimates were derived from the Global Precipitation Measurement (GPM) dataset at a spatial resolution of approximately 10km. UNITAR-UNOSAT compared average rainfall between 20 to 24 April (mm/day) with average rainfall in April (~4.4 mm/day), reported by The World Bank Group using a data series from 1991 to 2015.